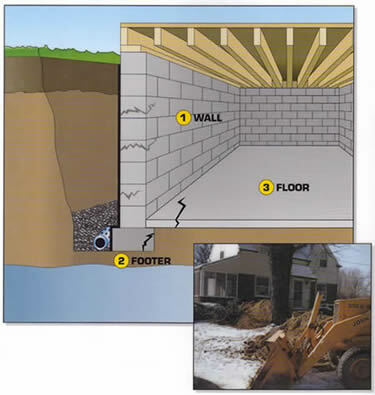 Exterior System: In this method, the contractor uses a backhoe to dig around the outside of the home’s foundation all the way down to the footing. After the wall is completely exposed, the original footer tiles are checked and, if needed, replaced. The wall is then sealed with waterproofing materials, such as tar and plastic. Gravel is poured over the pipe and the dirt is replaced in the hole. 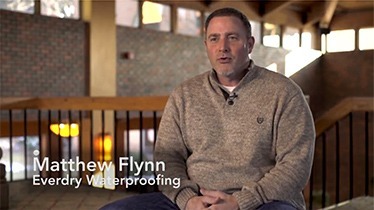 Protects outside walls from cracking and seepage. Addresses 1 of 4 ways moisture affects your foundation.